The villages Syrrako Kalarrytes are known for their architecture and long history. The first inhabitants were Vlachs and settled at Kalarrytes between 10th to 12th century, while at Syrrako century at the 15th. At the year 1430 the town of Ioannina was conquered by the Ottomans. A few years later, Kalarrytes capitulated and won financial and administrative privileges. Both villages took part to the revolution of 1821 and were completely destroyed by the forces of Hursit Pasha. The revolution at Epirus started at 1854 and in the year 1881 the Treaty of Berlin granted the two villages to Greece. 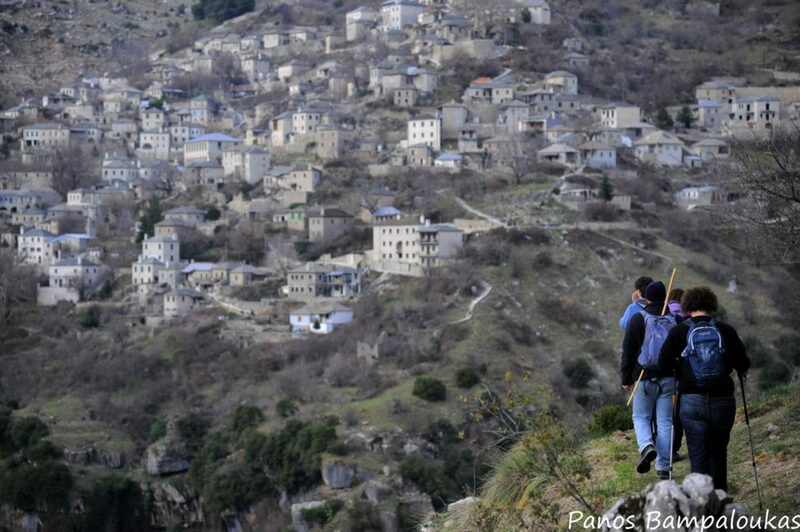 During their peak Kalarrytes had five thousand inhabitants and Syrrako three and a half thousand. Most residents of Kalarrytes worked with silver and textiles and their trade. The inhabitants of Syrrako were engaged in farming, but soon learned the art of crafting the silver and gold from Kalarrytes. Both villages have suffered major disasters because of the war with the Germans, but their total devastation occurred shortly thereafter in 1950, due to urbanization. Residents to large urban centers and never returned. Lots of people when referring to one of the two villages immediately speak for the other, as if they are somehow linked. Apart from their common history the villages are joined with a path. 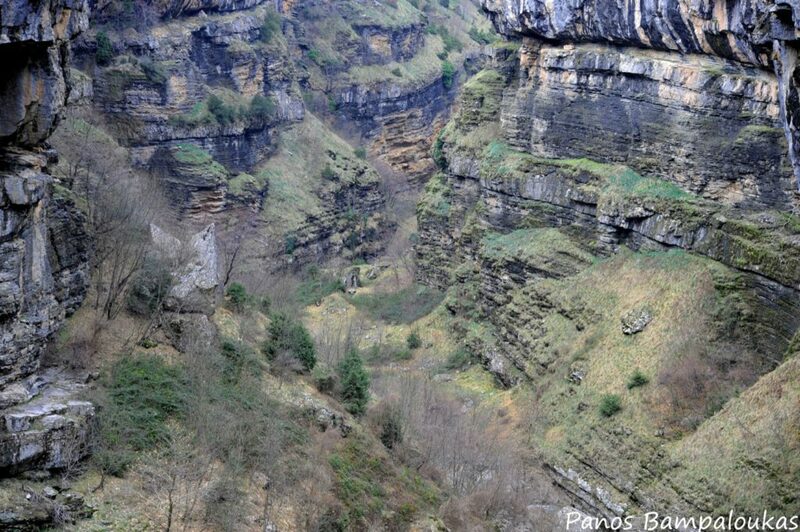 Most visitors apart from the stone houses and narrow streets, explore the gorge between the two villages. Starting from the village Kalarrytes we head to the main square of the village and continue to the left. A little later we get to a stream and we need to move downwards. The paved path will soon lead us to the right and out of the village. There are no signs in the village but some read spray on the rocks will show us the way. From the moment you get on the path, the path is clear and unambiguous. Initially the trail is very easy, but a little later, when the trail begins to descend, caution should be payed especially at the part with the stone staircase. After rain, the stairs are dangerously slippery and in some parts we need to walk near the cliff. The trail is fairly wide, but it is good to be focused on our steps, because a fall in the ravine leaves little room for survival. 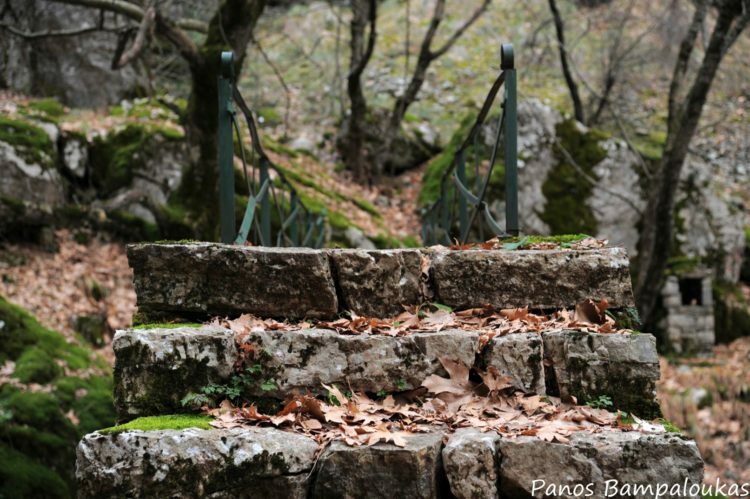 Passing the staircase after several turns, the trail takes us to Chrousia River, a tributary of Kalarrytikos. From this point the route ascends. We cross the bridge and go right and immediately left. If we follow the path to the right we will encounter a stone house. Soon after we will reach the waterfalls. The trail on this side is softer; only the stones on the ground can be a little tiring. Soon we’ll reach Syrrako with its magnificent stone houses. It takes three hours with return. The ride comes quite easily and can be done faster. All you need is to be focused on the steep parts.